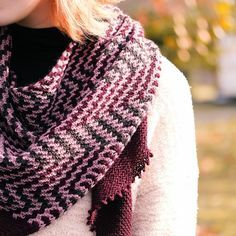 I first posted about Snug when it was published in Clotheshorse digital magazine, and I’m pleased to say that it is now also available as a self-published individual pattern download on Ravelry, with updated yarn information using Malabrigo Worsted, and a separate photo tutorial for the Tuck stitch. A cozy sweater with ample tucked funnelneck, Snug is knit in one piece from the bottom up with flattering shoulder shaping. Gentle waist shaping and short dolman sleeves flatter the body, while grafted shoulders and an integrated slouchy funnelneck ensure seamless knitting. Short rows make the sleeves and shoulder comfortable, eliminating excess fabric at the underarm. Each front and back is knit with one continuous strand of yarn, with no binding off or picking up stitches at the neck. The substantial cowl frames the face with a series of narrowing tucks at the front neck, gently pulling down the front edge below the chin. Wear it alone in the transitional seasons, and as a Snug extra layer in the depths of winter. Techniques & Skills Used: knit/purl, short rows, increasing/decreasing, picking up stitches, tucks. A tutorial is included for the Tuck stitch. Size: 30 (32, 34, 36, 38, 40, 42, 44)” bust; shown in fourth size with 2” ease. 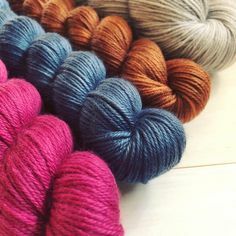 Yarn: Malabrigo Yarn Worsted (100% wool; 210 yards/100g); 3 (3, 4, 4, 4, 5, 5, 5) skeins, shown in Coco.